Condor Elite Fail Safe Pack Lo-Pro/Lo-Vis Covert Urban Assault Pack (Backpack) with Combat/Tactical Hydration Capability! (Video!) | DefenseReview.com (DR): An online tactical technology and military defense technology magazine with particular focus on the latest and greatest tactical firearms news (tactical gun news), tactical gear news and tactical shooting news. 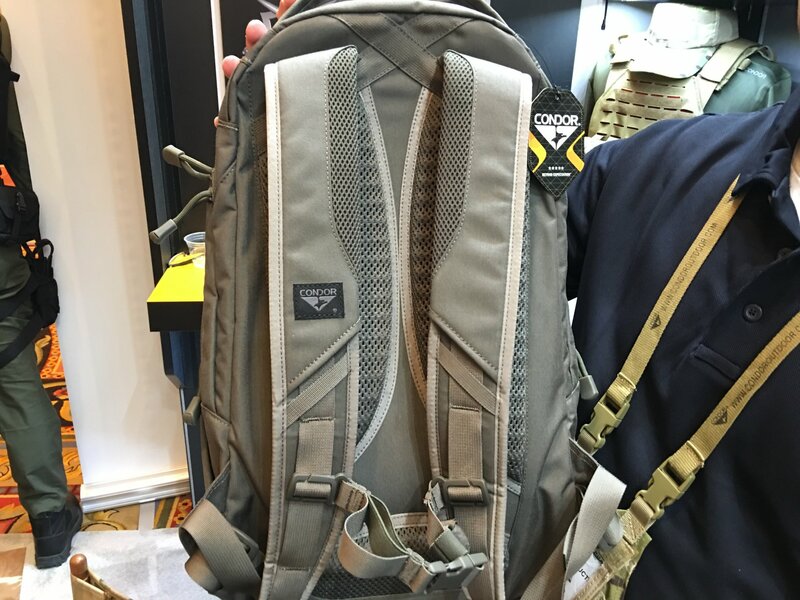 Speaking of really cool combat/tactical hydration assault packs (backpacks), Condor Outdoor Products recently introduced one of the coolest ones DefenseReview (DR) has come across at SHOT Show 2016, as part of their relatively-new Condor Elite product line. It’s called the Condor Elite Fail Safe Pack (or, Failsafe P ack), and it boasts a plethora of interesting features and attributes. 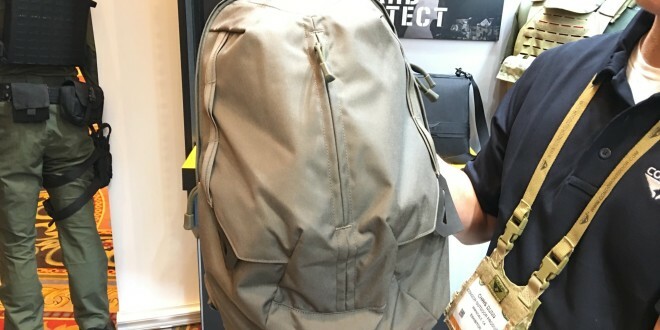 First off, the Fail Safe Pack is a lo-pro/lo-vis (low-profile/low-visibility) covert urban assault hydration pack that’s designed to visually blend in and not call unwanted attention to the wearer, and DR really dug it. 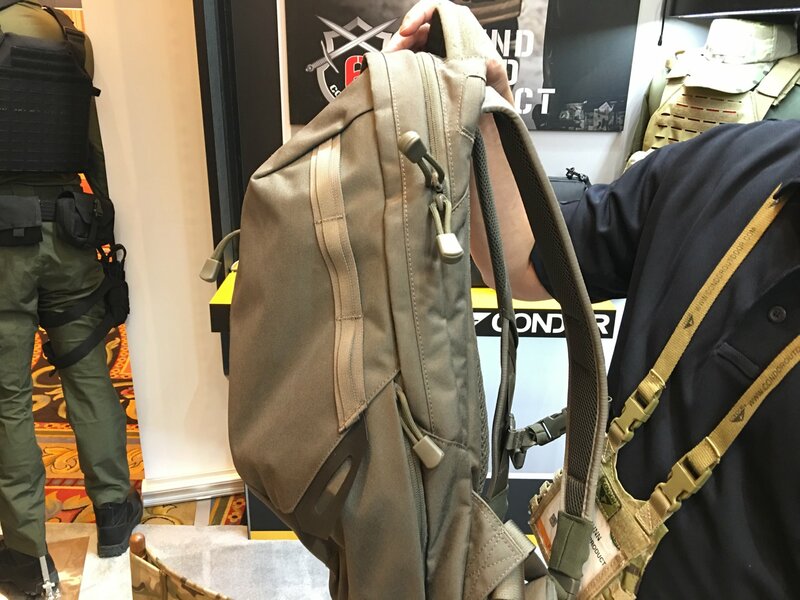 Chris Dunn of Condor Outdoor Products/Condor Elite was kind enough to take us through the Fail Safe Pack at the company’s booth (see video below). The first thing Dunn explained to DR was the reason for the pack’s “Fail Safe” moniker, which was given to the pack due to its modern parachute pack design influence, which sports sleak lines. The Fail Safe Pack features a center access pouch for for gear on the outside. 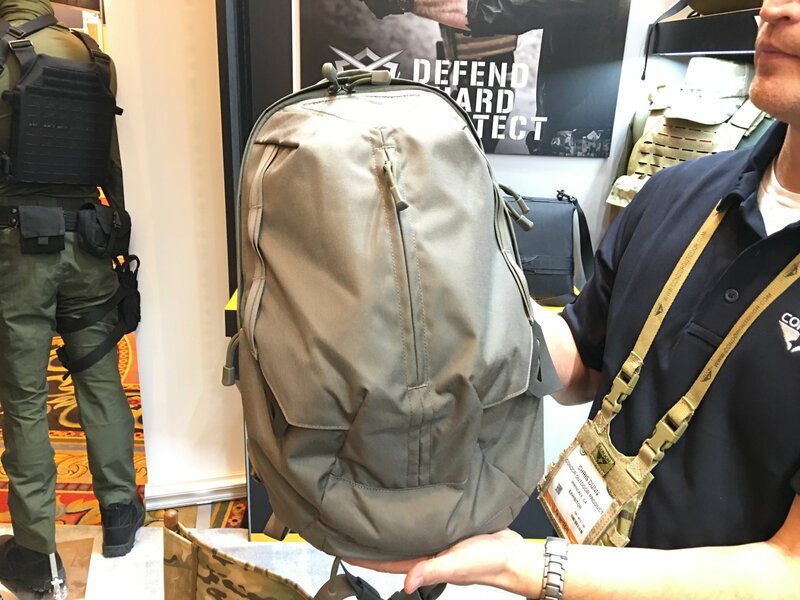 The pack’s main compartment pouch is “fully articulated” and has lots of little storage pockets inside for rifle and pistol magazines, as well as other tactical accoutrements. There’s of course a combat/tactical hydration compartment for your hydration bladder, as well as ventilation/comfort pads on the part that contacts the wearer’s back. The Failsafe Pack’s “hidden” low-profile integrated side pockets (with large pull-tabs to which carabiners can be attached) and zippered “hidden” side pockets/pouches are particularly well-designed. The pack even features an integrated rain flap which manually deploys out of the bottom of the pack, which is a pretty cool feature. Condor Elite Fail Safe Pack is constructed with MILSPEC 500 Denier Cordura® fabric and synthetic “Rhino Skin” (which DR would like to learn more about). The zippers are all heavy-duty YKK zippers with paracord pulls. 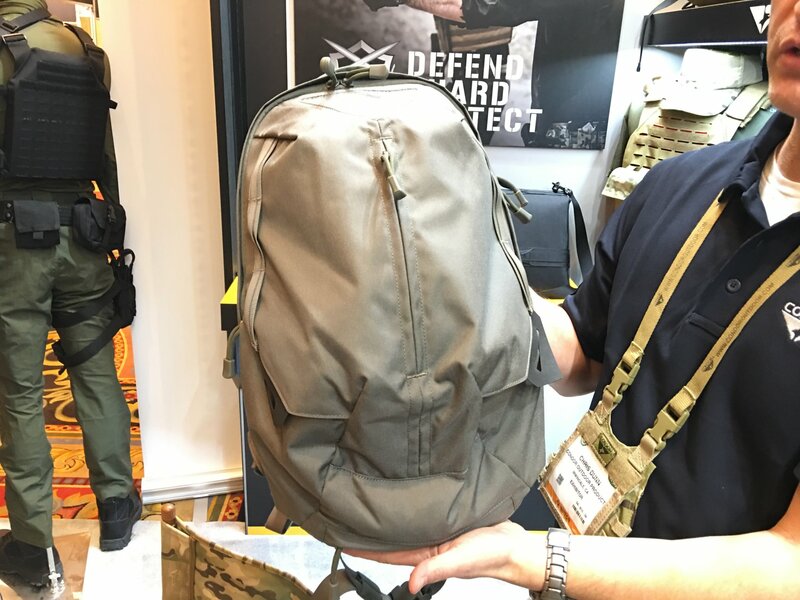 This is a really good-looking and high-quality lo-pro/lo-vis covert urban assault pack, and the $133.95 USD MSRP price point (as of SHOT Show 2016) is very reasonable. Great bang for the buck. It goes without saying that Defense Review hopes to aquire a Fail Safe Pack at some point for a hands-on T&E, but we would expect the pack to be very durable.